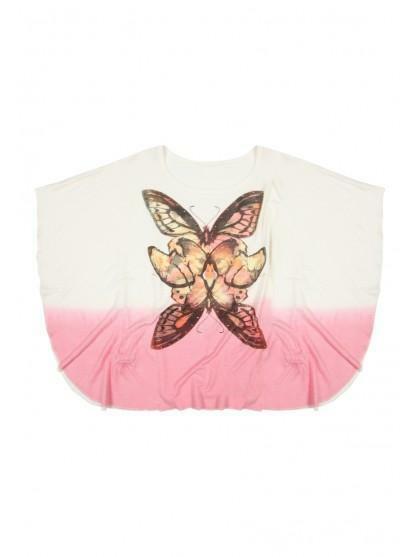 Float like a butterfly in this gorgeous butterfly print cape top, a must have for parties or play! 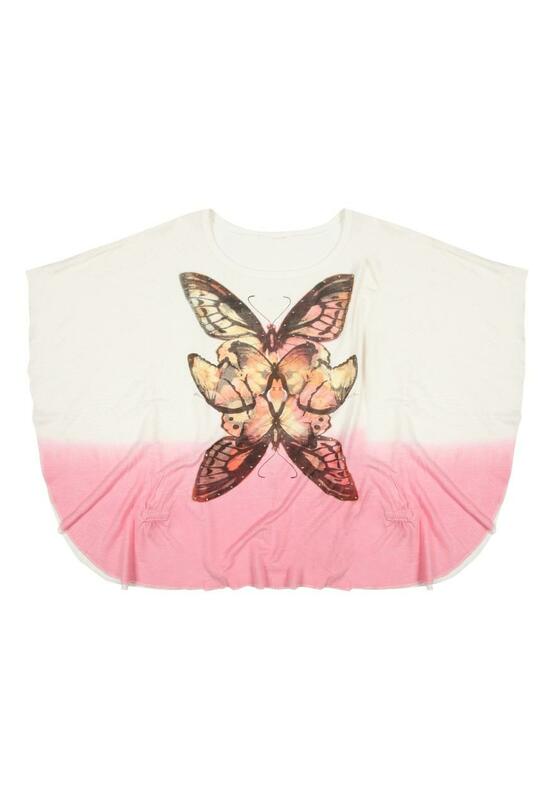 This tee features an eye catching diamante embellished butterfly print, dip dye ombre fabric and cute cape sleeves! Team with denim shorts and ballet pumps for the perfect summer look!